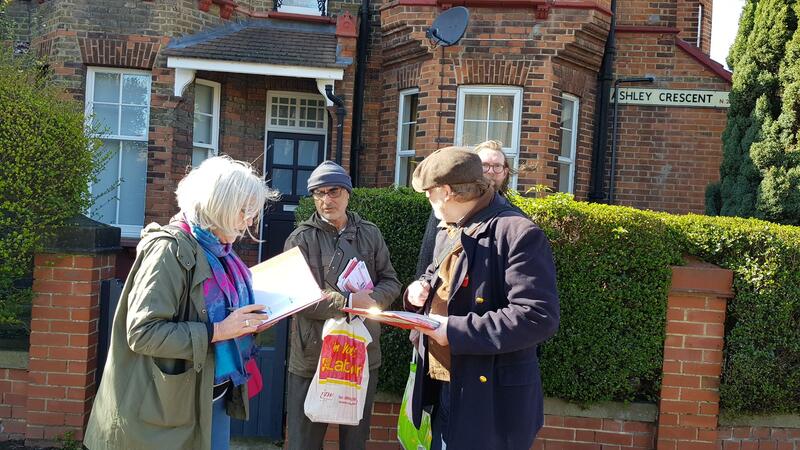 Noel Park Labour is a branch of more than 200 people in the heart of Wood Green who are committed to doing the best for our borough and to getting a Labour administration elected locally and a Labour government nationally. We have grown three-fold since 2015 and we hope that this marks an upturn for political activism in society. We are a ward that includes the 19th century Noel Park estate of model dwellings, as well as other landmarks like Wood Green Shopping City and the Sky City development above it. We run a stall with Woodside Ward outside the Wood Green Library on every other Saturday. We are proud to be represented by Catherine West as our local MP and to have three energetic Councillors - Peray Ahmet, Emine Ibrahim and Khaled Moyeed. Borough Canvass Noel Park Saturday 9th March_ In a hugely successful afternoon of action, members from all over Haringey turned out to talk to the residents of Noel Park ward on their doorsteps and at a stall in front of Wood Green Library. They had a very friendly reception! 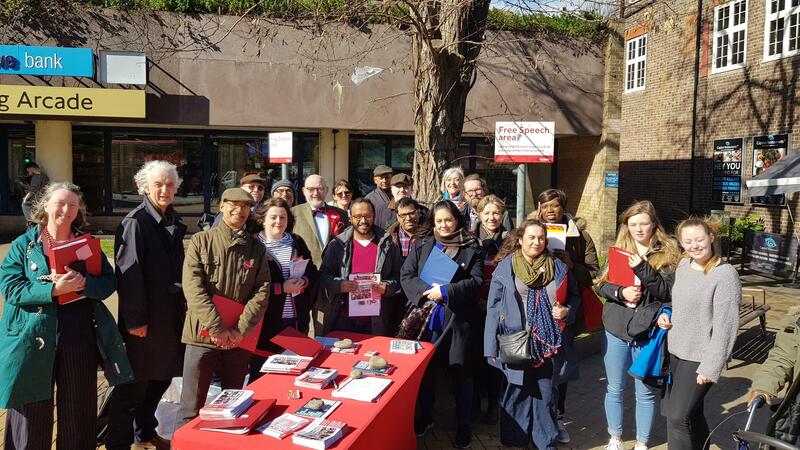 Borough Canvass Noel Park Saturday 9th March In a hugely successful afternoon of action, members from all over Haringey turned out to talk to the residents of Noel Park ward on their doorsteps and at a stall in front of Wood Green Library.